There are countless markets within the World Cup 2018 betting, but one that appears to make significant appeal is which teams will reach the semi-finals of the tournament. Heading the ‘to reach the semi-finals’ market are Brazil (21/20), Germany (21/20), France (6/5) and Spain (5/4). What’s significant here is that not a single nation is priced at odds-on in the semi-final betting. And the best strategy for taking advantage of this is to back all four teams individually to progress to the last four. The reasoning behind this World Cup best bet is that it only takes two of Brazil, Germany, France and Spain to qualify for the semi-finals and a profit is guaranteed. If three make it, this profit increases and gets larger still if they all reach the final four at Russia 2018. For example – a £10 bet on each team means a total outlay of £40. Should Brazil or Germany reach the last four, £20.50 is returned for the initial £10. If both are in the semi-finals, that’s £41 back, which more than covers the original stake. It would be £22 back for France getting this far in the tournament and £22.50 if Spain are still alive at this stage. So, the initial £40 would be turned into £85.50 should all of the quartet progress to the semis. Here are some reasons why each of the four can be expected to progress to the semi-finals and justify this as a strong piece of advice in the World Cup 2018 betting. Importantly, each can’t face each other until the semis, assuming they progress to the knockout stages as group winners. 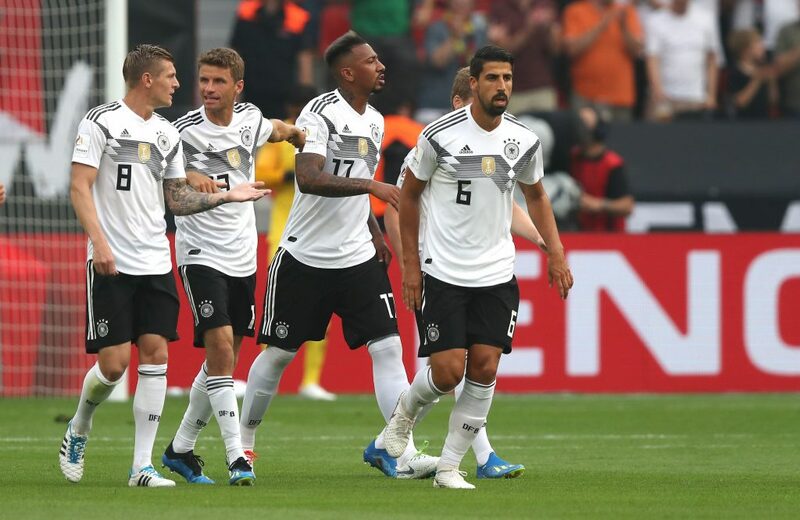 Germany have finished in the top four at each of the last four World Cups. They have also been involved in the semis at the last three European Championships. They are arguably even stronger this time around too, with an actual left-back playing in that position in Jonas Hector and Timo Werner leading the line, who is a more threatening striker in terms of running in behind and stretching opposing defences. This rang true during qualification where Joachim Loew’s men won all 10 of their fixtures, scoring 43 goals and conceding only four. Brazil dominated South American qualifying, topping the 10-team pool by 10 points and having a +30 goal difference. They went unbeaten in 17 successive qualifiers, after losing their opener to Chile. They obviously have World Cup pedigree too, with five previous victories and six other runs to at least the semi-final stage. They are the tournament favourites in the World Cup 2018 betting. The Spaniards also went unbeaten during qualifying, winning nine of their 10 fixtures, scoring 36 and conceding three. They haven’t lost a game of any nature in two years and have prepared for the World Cup with an emphatic 6-1 demolition of Argentina in March. The French arguably have the strongest squad competing at Russia 2018, with much hinging on whether they can stumble across a formation which gets the best out of both Paul Pogba and Antoine Griezmann. They have made the last-four stage at half of the last 10 World Cups in which they have competed and are becoming more consistent at major tournaments – reaching the quarter finals as a minimum in each of the previous three. What’s more, it’s taken the eventual winners to knock them out on each occasion.